The cars weren't old though when the photos were taken. 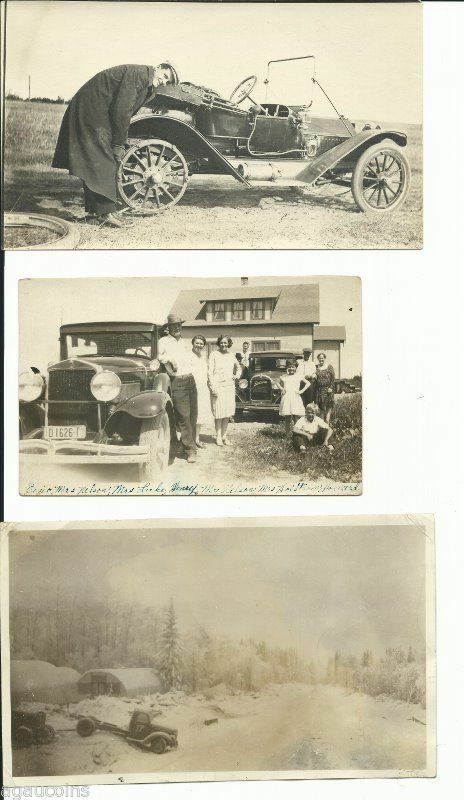 I was mostly interested with the torpedo style car in the top photo. Any idea what it is? It seems to have large brakes compared to a Ford. I agree with Buick-definitely. However, I think it's a 1912. It appears to be the larger model, which in 1913 had Buick's first composite construction body and smooth sides. Also in 1913 the horn tube was inside the body.